A very full day out with an emphasis on a wide range of wine accompanied by superb food and hinterland scenery. 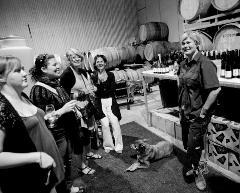 We start our day around 9.00am and travel along the coast past Melbourne's beachside suburbs and then head inland to our first stop for the day, Yabby Lake Vineyard. Established in 1998 the vineyard produces consistently good wines from both estate and regional grown grapes. These include Chardonnay, Sauvignon Blanc, Pinot Gris, Pinot Noir and Shiraz Biscuits and cheese complement the tastings. A short drive away is the family owned Crittenden Estate Vineyard. Established in the early 1980s. they're considered one of the pioneering families of the region. 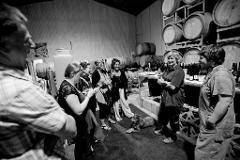 After the tasting, continue through to the quirky Quealy Vineyard at Balnarring. With a focus on Italian inspired wines, their approach is a little left of centre and will leave an impression. Close by is the Merricks General Store where a relaxed a la carte lunch in rustic surroundings can be enjoyed. After lunch, it's a short walk to the neighbouring Stonier Vineyards before finishing the day at Ten Minutes by Tractor Vineyards at Main Ridge.